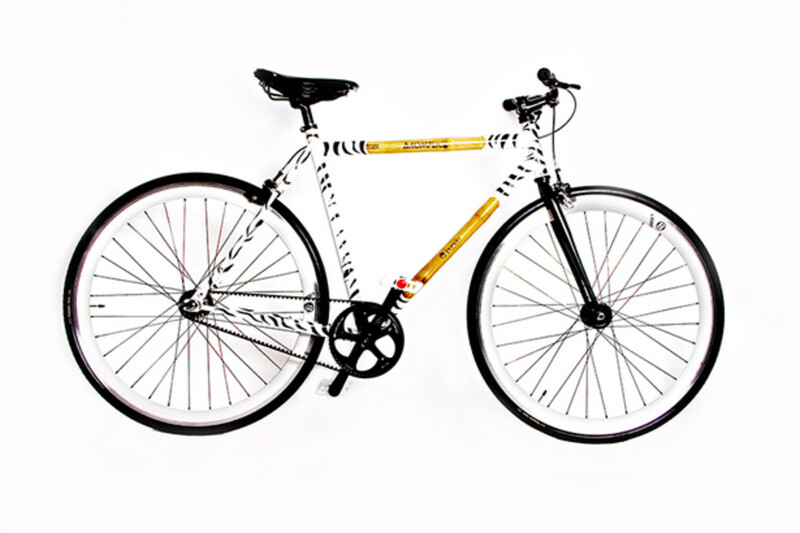 On the heels of their collab with Marc Jacobs, Panda Bicycles decided to join forces with Akomplice to design a street-savvy version of their "The One" fixed-gear bike. 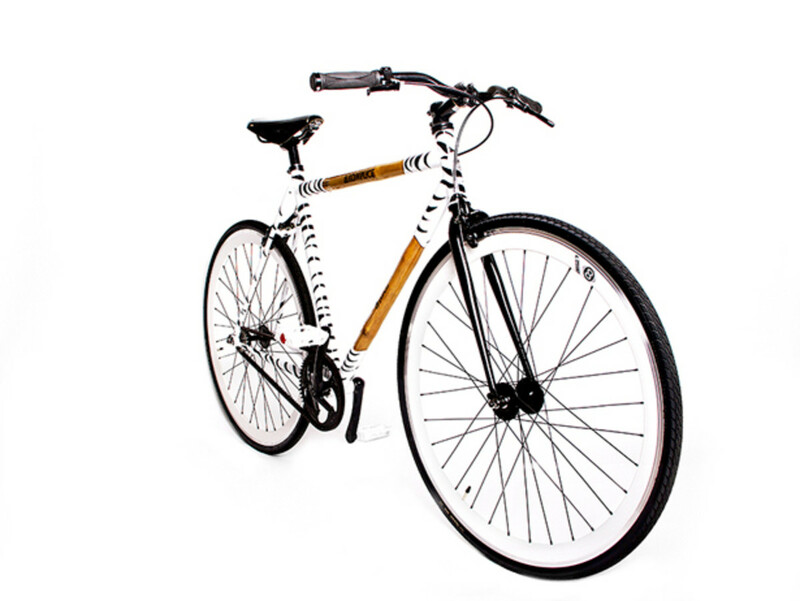 Fashioned from steel joints and a bamboo frame, the unique design makes for a smoother ride than traditional metal-only frames due to the flex afforded by the bamboo. 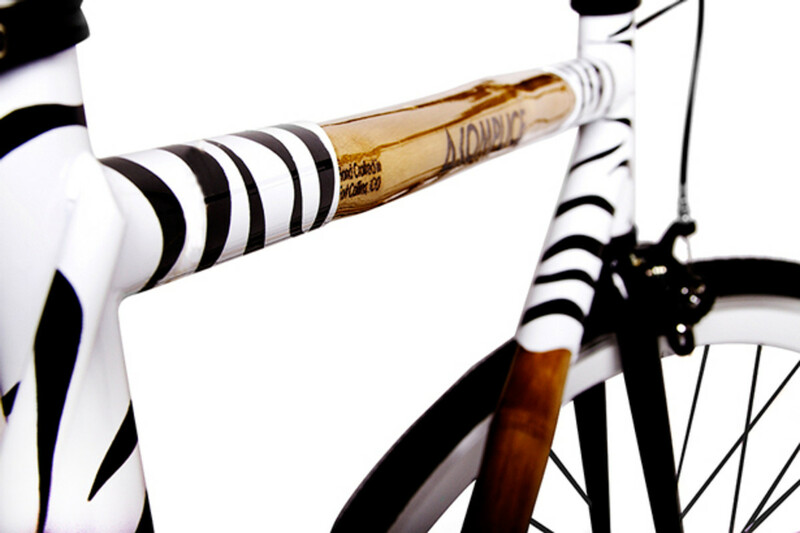 Interesting fact about bamboo is that it has the ability to grow up to 4 feet within 24 hours. 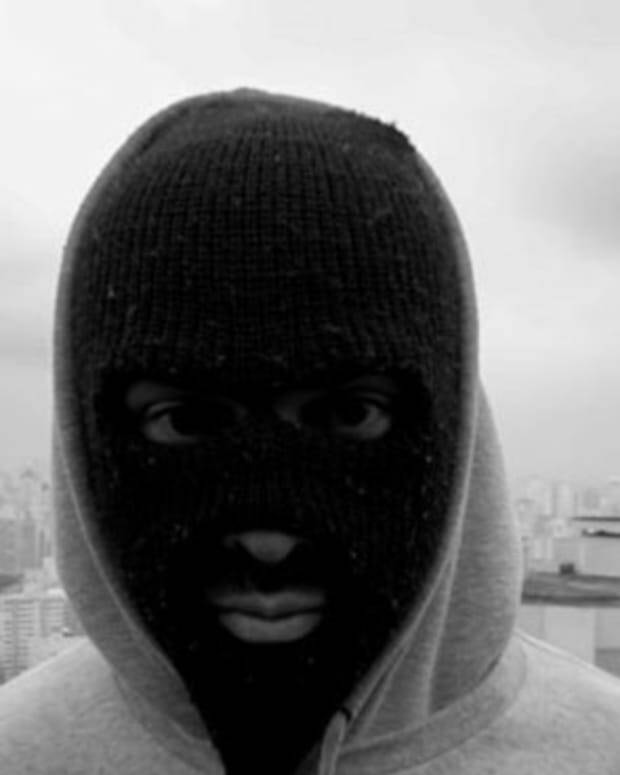 It also has a higher compressive strength than wood, brick or concrete and a tensile strength that rivals steel. 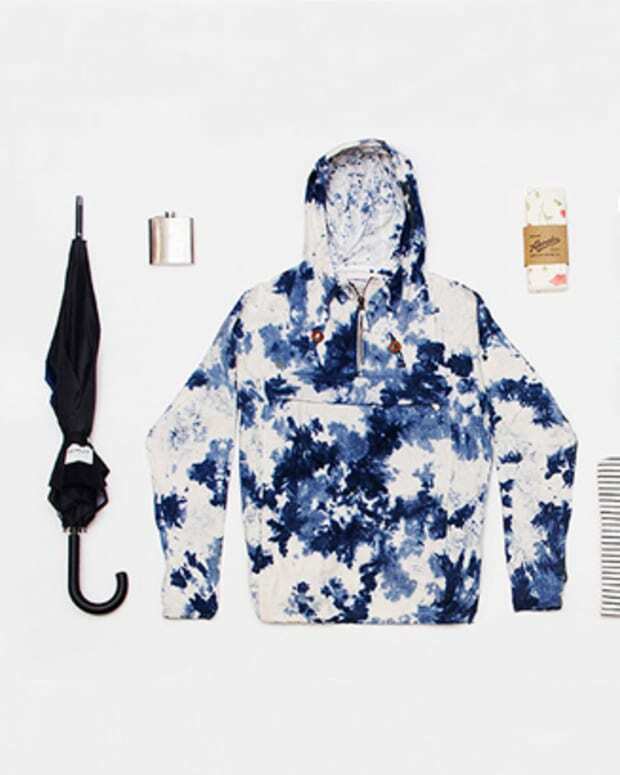 This material is a natural choice for both brands as it regenerates quickly, making it sustainable and environmentally conscious. 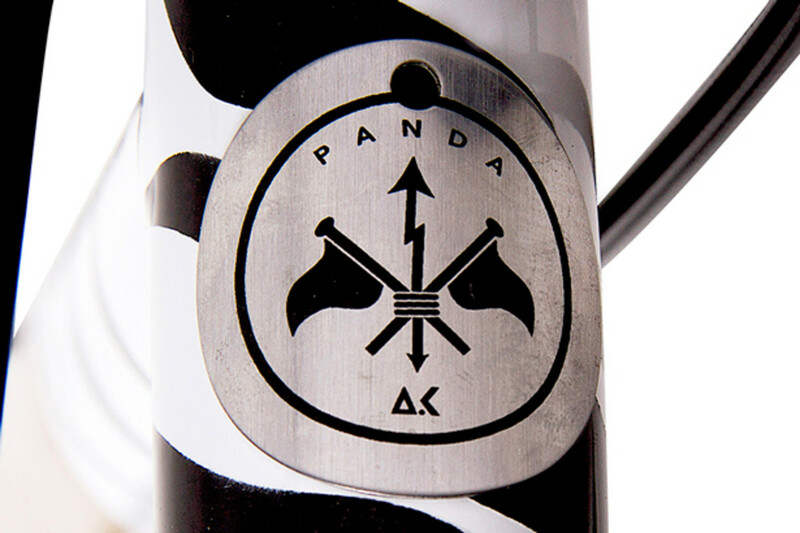 Panda X Akomplice Fixed Gear Bike "The One"
The fixed-gear bike marks another new vertical foray for Akomplice outside the bounds of apparel. 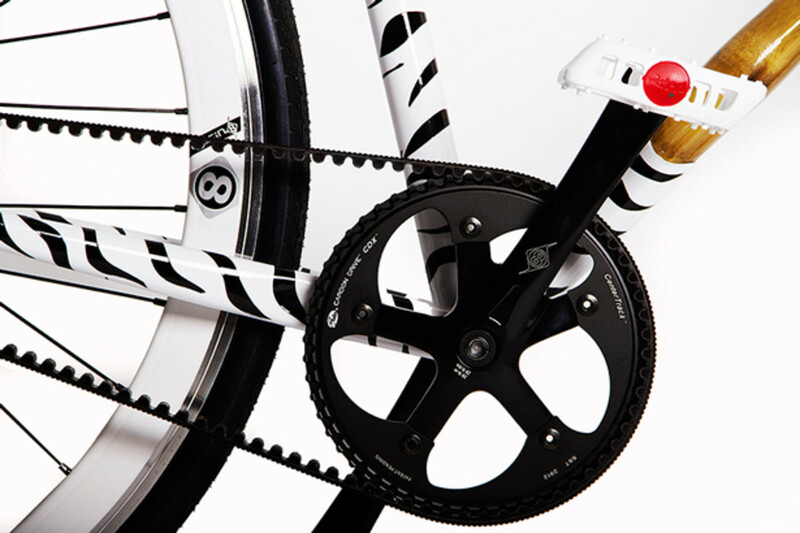 The bike sports a truly unique design with the "Into the Wild" theme manifesting across the frame with a white base offset by stark animal stripes. 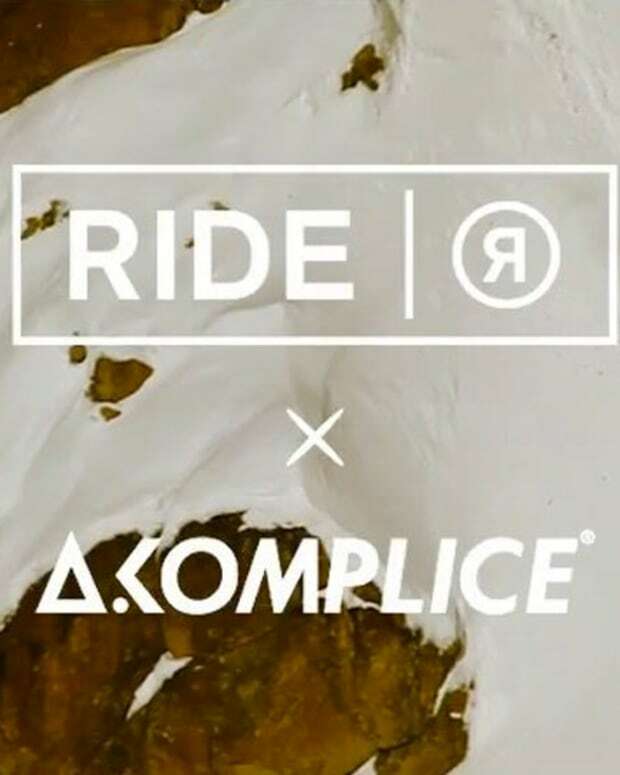 If you&apos;re in the market, be sure to be swift with your clicks when the bike drops Sunday, July 27th at 9:00 AM EST on the Akomplice Webstore. Priced at $2,500.